Do you ever get hit by a random craving in the middle of the night? The other day it happened to me and it was doughnuts, of course. Delicious, hot, sweet and fluffy doughnuts. I could have left the house to find a random 24 hour doughnut shop, but at that point in the night, leaving the house seemed like a massive undertaking. Instead, I decided to whip up a quick batch of doughnuts based on what was in the pantry. 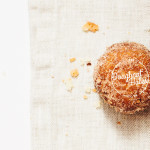 A quick Google search lead me to a fifteen minute doughnut recipe: perfection! These doughnuts literally come together in fifteen minutes – most of my time was spent impatiently waiting for my oil to heat up. I also had a bit of a tussle with an overflowing drawer while looking for a brown bag for tossing the doughnuts in cinnamon sugar. You can, of course, just roll the doughnuts in a dish with cinnamon sugar, but I love shaking them up in a brown bag. These doughnuts remind me of Those Little Donuts you find at the fair. You know, the ones that pop out of that tiny doughnut making machine with the hot oil twisty slides. I love those doughnuts! I didn’t make it to the local fair this year, so it was nice to have a tasty reminder. Summer may be “over” but you can relive your summer fair memories with these fifteen minute doughnuts. i am ready in fifteen minutes, i am dressed in cinnamon-sugar: i am fifteen minute donut! Preheat the oil to 350°F over medium heat in a small or medium size sauce pan. The smaller and taller your pot, the less oil you will need to fry. In a medium bowl, whisk together the flour, baking powder and salt. In a small bowl, whisk together the milk, buttermilk, sugar and melted butter. Add the wet ingredients to the dry ingredients and mix just until combined. Measure out the dough in 1/2 tablespoons and use your hands to gently roll into a ball. Try not to handle the dough too much, the less you compact it, the fluffier the doughnuts will be. 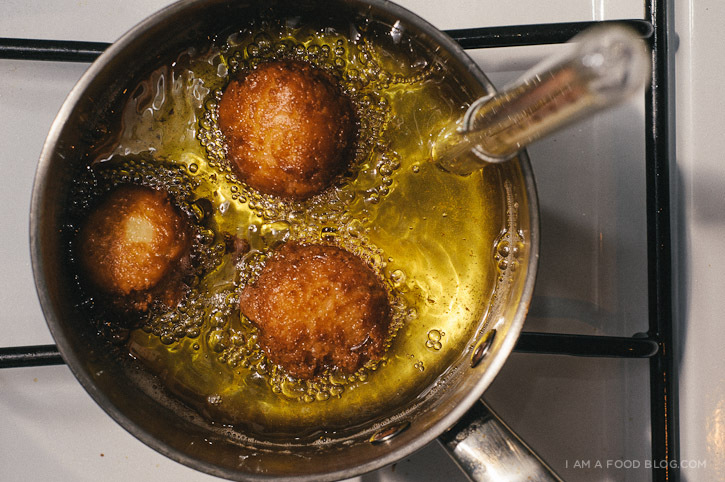 Gently add the doughnuts to the oil and fry until golden brown, flipping once, about 3-4 minutes. Remove from the oil and drain on paper towels. Toss into a brown paper bag with cinnamon sugar and shake to coat. Enjoy immediately. Ha I made donuts today and it took HOURS. Thanks for this – will love having this in my back pocket for when the mood strikes! That doughnut machine is mesmerizing. I am bonkers for fried dough. I am soooooo into this. LOVE this recipe! And here I am always making long-rising yeast doughnuts like a sucker! I love this speedy variation, I am so going to try it for a lazy weekend brunch. Too good to be true! Now I need donut holes! GENIUS. Pinning for my next doughnut hole craving. Which will likely take place within the next 12 hours. Yum Yum Yum!!!! 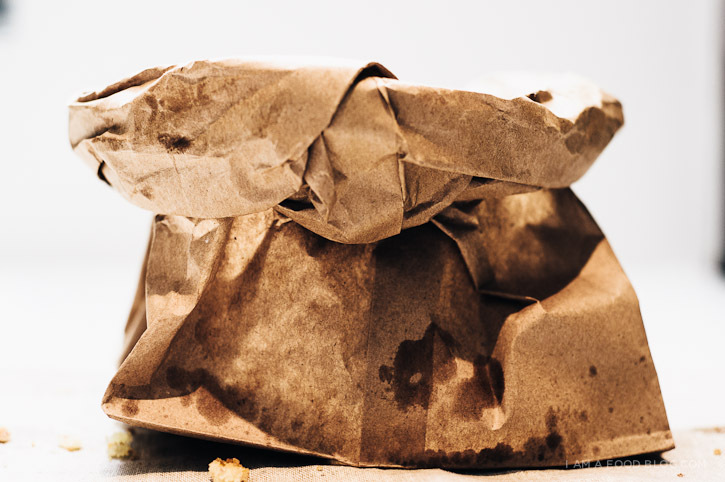 always better in the paper bag too! This is brilliant! I might chose to make these instead of walking to the nearby donut shop. Dangerous! 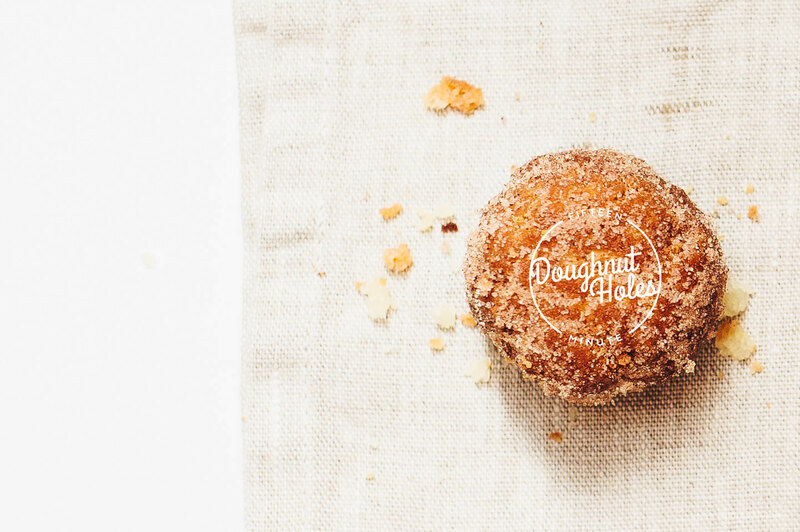 Homemade doughnut holes in 15 minutes?! I’m sold!! Just made these and they are so easy and delish. Definitely hit the spot! So delicious! My youngest son has a soy allergy so this is perfect for him. Thank you! Thank you! Thank you! Amazing!!!! I just made these a while ago and they came out soo good. I used confeti sugar though. Everytime i plan making something it came out bad but this is just amazing. I was so suprised. I made these last night as a sweet treat for my son, between him, my husband and myself they were all gone in record time! Delicious and so easy. 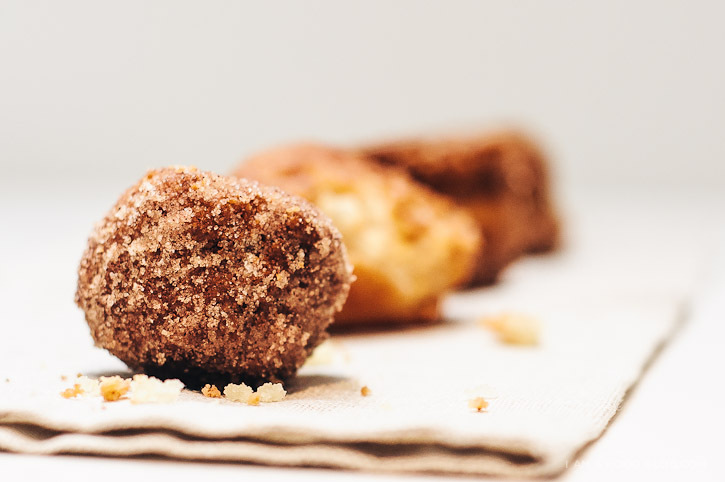 I just made this & they are hands down my most successful & delicious fried donut holes ever! Thank you so much! The only thing I would add to the recipe is a reminder that your hands, surfaces, etc. have to be SUPER floured when you’re dealing with the batter otherwise it will be a sticky mess & you’ll never get them into ball shapes. Otherwise, fabulous recipe… bravo! Hi, i would love to make this recipe but i don’t own a thermometer :( help? hi! 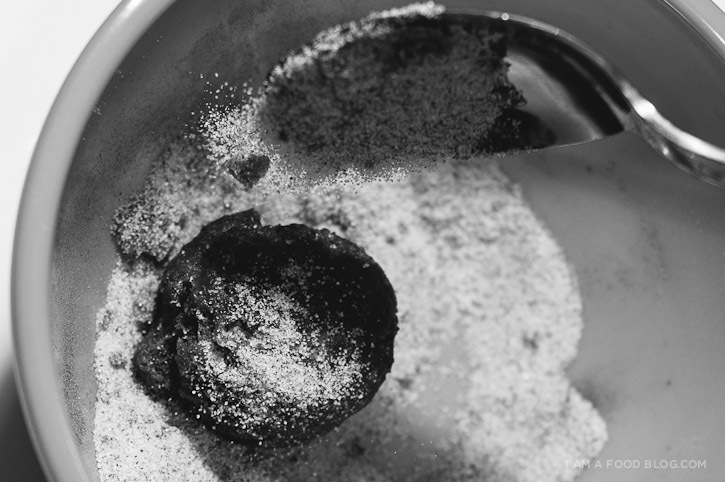 you can test the oil by dropping in a tiny bit of batter – it should dip under the surface and float up almost immediately, with tiny bubbles surrounding it. or, if you have an uncoated wooden chopstick or wooden spoon, you can dip that into the oil, if it’s hot enough you should see tiny bubbles. try not to get the oil too hot because your donuts will end up brown on the outside and uncooked on the inside. hope that helps a bit! Just made these!!! Perfect instructions that were easy to follow! My family thought I was nuts at first..but I blew them away! This recipe is a keeper!! !